The Bechstein B 208 grand piano: an instrument for all kinds of music, tailored to the needs of pros an beginning pianists alike. The Bechstein B 208 grand is everything you could want in a piano, whether you play solo or in a chamber music ensemble. It boasts stunning dynamics and a wealth of nuances, and stands out with an incredibly balanced and precise action. 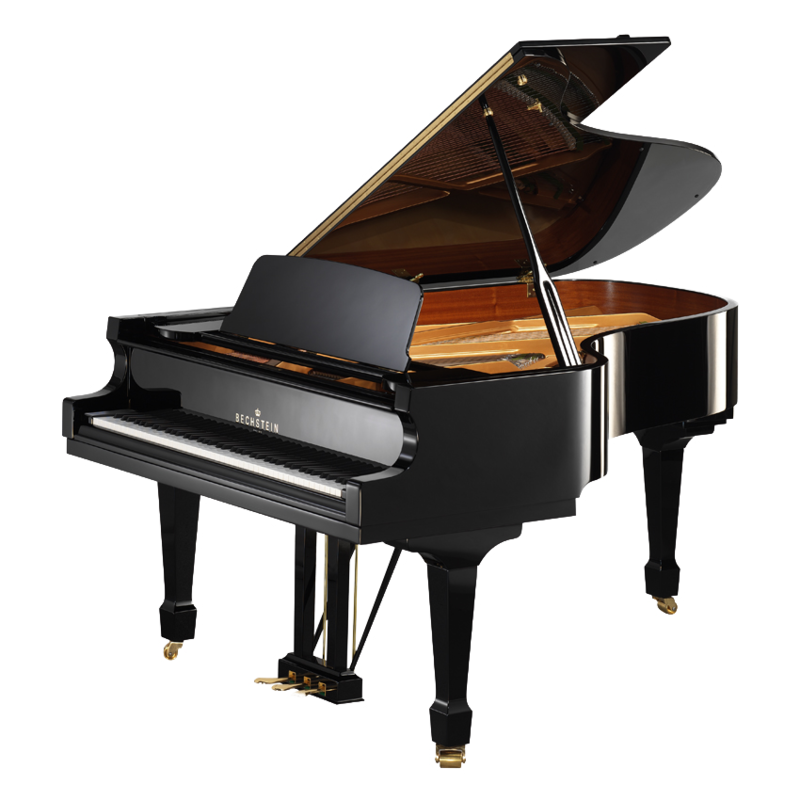 Characteristics like these, at a very affordable price, explain why the Bechstein B 208 is in such high demand the world over, not only in conservatories, but also in private music rooms. As with all instruments in the series, for Bechstein grand piano B 208 the selection of materials is also crucial to the success of the instruments. For example, back posts are made from high quality pinewood, ribs and sounding board from tone wood (mountain spruce). Other body parts consist of sturdily glued solid wood with corresponding veneer seals. The high-end iron plate of the Bechstein B 208 is cast in sand to achieve an excellent resistance to tension and thus optimise the keynote. The capodaster strips and the duplex scales integrated in the plate contribute to the piano’s rich and colourful voice, while special agraffes limit the speaking length of the middle and bass strings. Last but not least, both the strings and the tuning pins are made of the finest metals. More than such technical details of piano-making, you will appreciate the powerful voice of the Bechstein B 208 grand piano and love the rich, colourful acoustic spectrum that makes it suitable for all kinds of music.Your Bechstein B 208 grand piano can be equipped with a Vario mute so that you can play day and night without disturbing your family or neighbours.